Every scientist aspires to get published in a scientific journal. The pressure of ‘publish or perish’ is something every researcher faces, and getting published in a high-quality journal helps move on to the next rung (or even skip a few rungs) up the ladder. The journey from finishing a scientific study and getting it into the public eye can be long and strenuous. According to an Elsevier report, 1.8 million authors submitted 1.3 million manuscripts in 2015, however, only 400,000 (approximately 22%) of them were published. Nature publishes only 8% of the 200 papers it receives each week. So while you may be making significant progress in your research in the confines of your lab, telling the world about it involves quite a few barriers — and also requires years of patience. The peer-reviewed publication process is an integral component of the scientific research community. As the name suggests, it is a means of getting feedback from peers, on the quality and presentation of your scientific manuscript, before it is accepted for publication. Peer reviews help journal editors determine the quality of the study with regards to originality, validity and significance. How does the publication process work? The whole process can be classified into 3 main phases: pre-submission, submission and review, post-acceptance publication process. For a publication-seeking author, the pre-submission process is one of the most important steps. There is a multitude of factors that must be considered during this process. Choosing the target journal: As straightforward as it sounds, choosing the correct journal is underscored by several factors. Before you zero in on a journal, browse through a few of their articles and ensure that your study fits their theme. For instance, you may have a breakthrough finding regarding cancer genetics, but if the journal focuses on translational medicine, the editors may not be so keen on publishing it. Everyone in the academic sciences is familiar with the concept of impact factors. A journal impact factor (JIF) measures the frequency at which the average article is cited from that journal in a specific time period. A higher impact factor (which means a greater no. of citations in a particular period) reflects how important or “impactful” that journal is in that particular field: journals with higher impact factors are considered more important than those with lower ones. Scientists want their study published in the highest impact factor journal, and it is easy to be biased in favour of your study. Obtain feedback from your colleagues to get an unbiased and realistic assessment of your study’s impact. Manuscript writing: Once you have identified the target journal, go through their submission guidelines for authors. Carefully identify the prescribed word limits, formatting requirements for figures and supplementary information. These days, many journals like Cell press require a graphical abstract. Pay attention to similar details and adhere to it! Familiarize yourself with the journal’s copyright criteria and reference all borrowed images and content appropriately. Get a second opinion from other colleagues and collaborators on your draft. If you need help with translation, editing or formatting, it might make sense to hire a scientific writer so that you can save time and energy, while also making sure your paper is free of errors and well-presented. 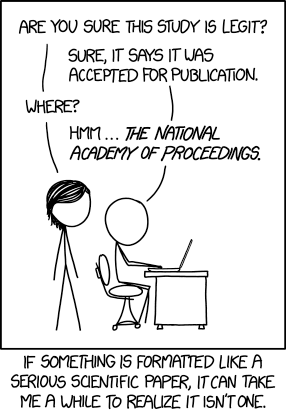 In fact, this XKCD comic suggests that a well-formatted manuscript is so crucial for getting published, that it’s possible for dubious studies to fool even well-established scientists at first glance! Letter to the Editor: An extremely crucial, but, highly overlooked part of the submission process, is writing the letter to the editor. It is a common error to repeat the paper’s abstract. This cover letter is meant to provide the bigger picture outline, and any other additional information that you would like to share with the editor. If the editor is convinced by the value of your study from your cover letter, your manuscripts will be sent out for review to independent peer reviewers. Depending on the journal, it may involve anywhere between two to four reviewers. Following the review process, the journal editor contacts the corresponding author. There are three possible outcomes of the review: accepted, rejected or accepted with revisions, the last being a very common occurrence. DO NOT BE DISCOURAGED by the request for revisions. You have already crossed all the major hurdles of getting your paper considered for review and receiving conditional acceptance. Try to address the reviewer’s concerns and resubmit within the stipulated time frame. Rebuttal letter to the Editor: Overall, during the resubmission process, you will turn in 2 documents: a revised manuscript with the new alterations highlighted, a rebuttal letter to address the comments from the reviewer. The rebuttal letter is as important as your first cover letter to the editor, if not more. This is the space for explaining to the editor how you have altered your manuscript to resolve the concerns raised by the reviewers. It is best to address the comments individually, point-by-point. It is okay to decline any of the reviewer suggestions, provided, you present a good justification. You may even argue politely why the reviewer is wrong. Remember that the editors will accept rational explanations if you explain clearly that you have positively considered most of the feedback received, and accepted some of it. Finally, you will hear the news of acceptance of your journal for publication. The process is still not over though! Now comes the final step for the publication process. Typically, at this point, a copy-editor would contact you to go over any changes that maybe necessary from a formatting perspective. Once you make these changes, you would receive a copy of the print version for proofreading. This content will be made public soon; ensure an accurate proofreading. Mark any corrections as clearly as possible. If asked for, clarify with a full disclosure of any conflict of interest as well as acknowledgement for all funding support. You may also need to process the necessary paperwork to ensure copyright and license agreement. Upon prompting, arrange for payment of the publication fees, without any delays. Note that, in some cases, additional fees may be charged for printing colored images and also for open access viewing. Common advice given to researchers and scientist is to never give up on a manuscript. Many papers undergo several iterations and edits before it sees the light of day. Some scientists have had to wait years before their research was published. And remember, even Nobel Prize winners were sometimes rejected! In 1937, Hans Adolf Krebs, who discovered the citric acid cycle, had his paper rejected by Nature. 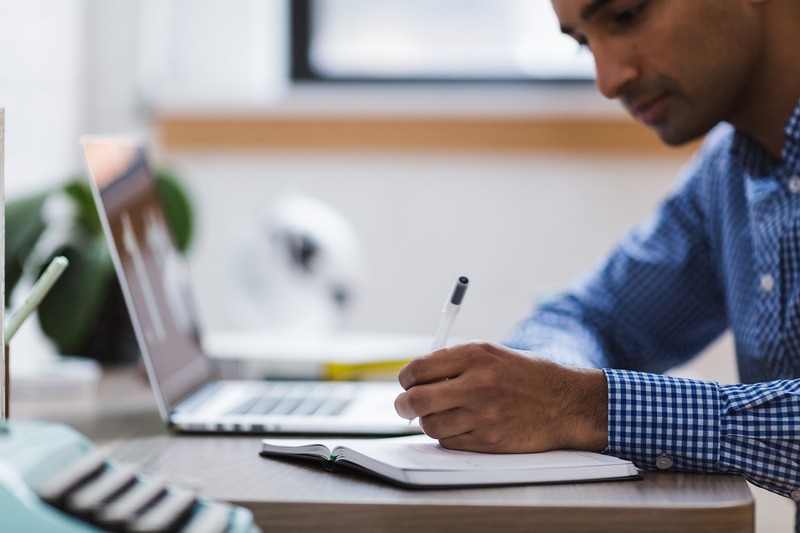 Choosing the right journal, making sure your research is well-presented and free of any language and factual errors, and paying attention to reviewer’s comments are small steps to ensure that your research will not only be published but perhaps also be cited. Once published, your research may lead the way to a scientific breakthrough or the next big innovation. What better reward can there be? Need expert advice on how to get published in a scientific journal of your choice? 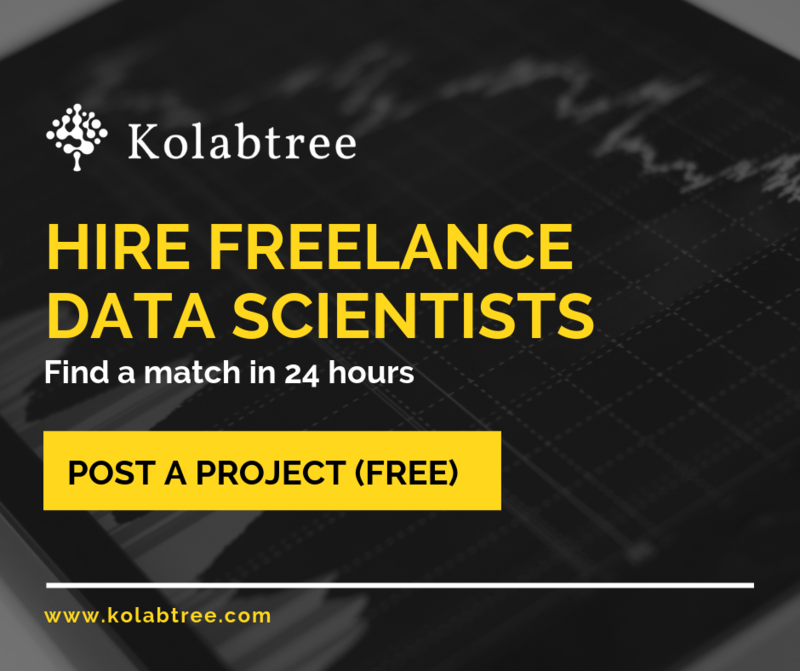 Get in touch with a scientific writer on Kolabtree. Maya Raghunandan obtained her Ph.D in Biochemistry and Molecular Biology from the University of Minnesota, Twin cities, USA. Currently, she is a cancer biology scientist at Université Catholique de Louvain, Brussels, Belgium. In her spare time, she writes about cool science discoveries in her jargon-free blog http://www.sciencesnippets.org/. Because, science doesn’t have to sound complicated. Instead, it must be comprehensible for everyone.